Same day data recovery services in London for the Apple Macbook, iMac, Mac Mini, and Mac Pro. When Disk Utility is unable to repair invalid Nod style issues, we can resolve the issue. Express Secure Data Recovery Services and solutions throughout the capital. Why not upgrade your Mac with up to 3TB of storage if your running low. Mac startup issues resolved swiftly following the flashing folder and question mark. Secure Apple Mac Data Recovery London – While the Macintosh’s Disk Utility can usually correct minor directory issues you may be experiencing, it is unable to provide a compete solution to hard drive corruption, data deletion, hard drive mechanical failure, or sudden power surge brown outs. Data can also become compromised due to fire or natural disaster (like flooding) or evan if your item was stolen and the data wiped we can help with with HFS, HFS+, FAT16/32, and NTFS file system formats. iFixExpress is abel to offer a wide range of data solutions from hard drive upgrades up to 1TB on the Macbook and Macbook Pro, as well as up to 3TB on the iMac. The Mac Pro however can handle a whopping 12TB! 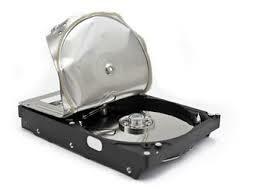 We can also transfer all your data from your old drive (where possible) to the new larger SATA or solid state drive. 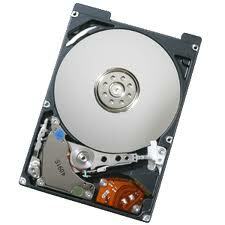 We have been operating in the data recovery section since 2009 and most issues we can resolve swiftly. If however the hard drive has suffered full mechanical failure (this is noticeable by the sound of clicking coming from the hard drive) and recovery may take a little longer. Full mechanical failure would require the drive to be brought into our lab and dismantled in a dust proof cubical and its content removed and placed in an exact donor drive. The speed of recovery under these circumstances is dependant on the availability of the exact donor drive that matches your model. We do however keep a large back stock of donor drives so it is highly likely we would have one to hand. contact us today for the fastest Apple Mac Data Recovery London service. Flashing Folder: The flashing folder with a question mark on the Mac startup screen gives very little away about what is actually happening at boot time. You get the chime followed by a tray screen. What this means is the Macintosh is unable to find the boot hard drive. This usually indicated a problem with the hard drive, or in the case of the Macbook Unibody 13″ it could mean a problem with the internal SATA cable connection to the logic board. We can help you with this issue so call us today on 0845 8340933 and key in Ext 7 for our Mac repair London team. Our service and expertise is second to none, why not try us out today. Invalid node structure: It is important to run the Disk Utility in the utilities folder located in the application folder of your mac on a monthly basis. All you do is highlight the Macintosh HD folder and run “verify Disk Permissions”. if you find that it comes up with any errors then run the “Repair Disk Permissions” by keeping the Macintosh HD icon highlighted and click the option to repair. You should also run the “Verify Disk” option if your hard drive is acting up, examples of this is seeing a spinning beach ball, or the Mac freezing up a lot. You may find after checking this you have could have what we call “Invalid node structure”. If you find this is the case its best to give us a call. By getting in touch sooner your less likely to lose any data. It is always advisable to backup on a regular basis. Apples time machine back up system is available from the OS 10.5 and above. All it takes is to plug in a external hard drive and follow the on screen prompt. Mobile Service Areas for Apple Mac Data Recovery : South Woodford E18, Stratford E20, Manor Park E12, Whitechapel/Stepney E1, Forest Gate E7, Homerton E9, Plaistow E13, Bethnal Green E2, Manor Park E12, Isle Of Dogs E14, North Woolwich E16, Waterloo SE1, Enfield EN1, Barnet EN5, Brent Cross NW4, Blackheath SE3, Camberwell SE15, Charlton SE7, Eltham SE9, Kensington SE11, Leiwsham SE13, Peckham SE15, Walworh SE17, Crystal Palace SE19, Dulwich SE21, Forest Hill SE23, South Norwood SE25, West Norwood SE27, Thamesmead SE2, Brockley SE4, Catford SE6, Deptford SE8, Greenwich SE10, Lee SE12, New Cross SE14, Rotherhithe SE16, Woolwich SE18, Anerley/Penge SE20, East Dulwich SE22, Herne Hill SE24, Syndenham SE26, Pimlico/Belgravia SW1, Chelsea SW3, Earl’s Court SW5, Knightsbridge, South Kensington SW7, Stockwell, Brixton SW9, Battersea SW11, Barnes SW13, Putney SW15, Tooting SW17, Wimbledon SW19, Brixton SW2, Clapham SW4, Fulham SW6, South Lambeth SW8, West Chelsea SW10, Balham SW12, Mortlake/East Sheen SW14, Streatham SW16, Wandsworth SW18, Raynes Park SW20, Hornsey N8 , Cricklewood NW2, Hampstead NW3, Hendon NW4, Kentish Town NW5, Kilburn NW6, Mill Hill NW7, St John’s Wood NW8, The Hyde NW9, Willesden NW10, Golders Green NW11, Croydon CR0, DA5 Bexley, Bexleyheath DA6, Ilford, Essex IG1,Gants Hill IG2, Seven Kings IG3, Redbridge IG4, Clayhall IG5, Barkingside IG6, Chigwell IG7, Woodford Green IG8, Loughton IG10, Barking IG11, Wembley HA0, Harrow HA1, Wealdstone HA3, Ruislip HA4, Pinner HA5, Northwood HA6, Stanmore HA7, Edgware HA8, Wembley HA9, Romford RM1, , Chadwell Heath RM6, Rush Green RM7, Becontree Heath RM8, Becontree RM9, Dagenham RM10, Hornchurch RM11, Hornchurch RM11, Elm Park RM12, Rainham RM13, Upminster RM14, South Ockendon RM15, Chafford Hundred RM16, Grays RM17, Tilbury RM18, Purfleet RM19, West Thurrock RM20, Mayfair, Marylebone, Soho W1 Acton W3, Eailing W5, Hanwell W7, Maida Vale, Warwick Avenue W9, Notting Hill, Holland Park W11, West Ealing W13, Bayswater, Paddington W2, Chiswick W4, Hammersmith W6, Kensington W8, Ladbroke Grove, North Kensington W10, Shepherd’s Bush W12, West Kensington W14, Islington N1, East Finchley N2, Finchley N3, Finsbury Park N4, Highbury N5, Highgate N6, Holloway N7, Crouch End N8, Edmonton N9, Muswell Hill N10, New Southgate N11, North Finchley N12, Palmers Green N13, Southgate N14, South Tottenham N15, Stamford Hill N16, Tottenham N17, Edmonton N18, Archway N19, Totteridge N20, Winchmore Hill N21, Wood Green N20, Camden NW1, Cricklewood NW2, Hampstead NW3, Hendon NW4, Kentish Town NW5, West Hampstead NW6, Colindale NW9, Willesden NW10, Golders Green NW11, Whitechapel E1, Shoreditch E2, Bow E3, Chingford E4, Clapton E5, East Ham E6, Stratford E7, Hackney E8, Hackney Wick E7, Leyton E10, Leytonstone E11, Ilford E12, Plaistow E15, Docklands E16, and Walthamstow E17. We can also help with file retrieval or corrupt Microsoft MSN Office files, Adobe Photoshop, and Illustrator. Maybe its a USB storage device that is not being picked up by your Mac. Get in touch today for a wide range of data recovery solutions in London.